This Mississippi Mudtini cocktail recipe is incredible! It’s a fun and easy chocolate martini recipe with marshmallow vodka, perfect for the holiday season and even New Year’s Eve! You know how much I love fun cocktail recipes! It will definitely WOW your friends and family!! If chocolate cocktails aren’t quite your thing, my Cranberry Limoncello Spritzer is also very popular this time of year! 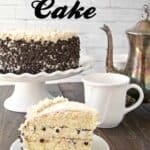 “Mississippi Mud” has many definitions and you will probably get a different answer depending on who you ask. There was a song from the 1920’s with the name sung by Bing Crosby but also performed by other well-known singers over the years. Wow, who knew?! 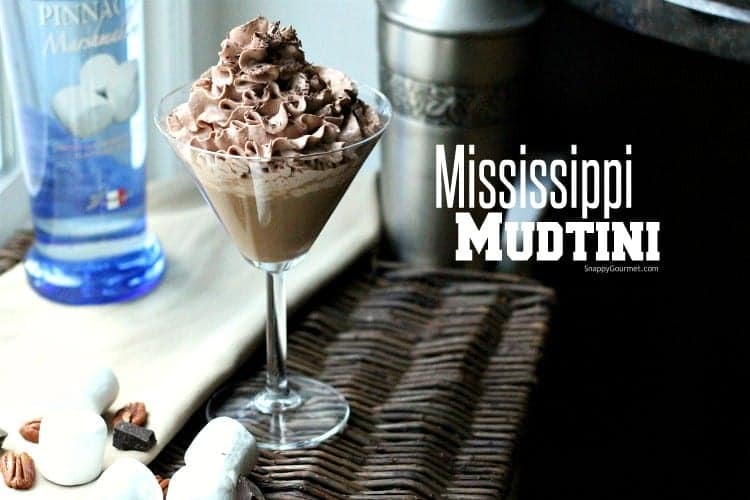 Mississippi Mud also refers to the dark muddy banks of the Mississippi River. 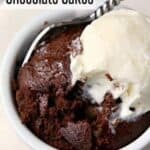 Many gooey chocolate desserts (resembling “mud”) allegedly were named after those dark muddy banks, including the popular Mississippi Mud Pie as well Missippi Mud Cake, Ice Cream, Brownies, Cookies, and more! The Mississippi Mud desserts all seem to be ooey gooey chocolate desserts but what else they contain can vary. The versions I remember having generally also had marshmallows (or marshmallow fluff) as well as nuts (such as pecans or walnuts). 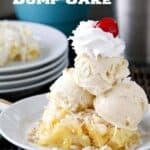 Recently while browsing through Pinterest, I ran across pins of all sorts of Mississippi Mud desserts! They all brought back great memories of living in the south. I knew the marshmallow, chocolate, and nut flavors would be a perfect combination for a Mississippi cocktail recipe! 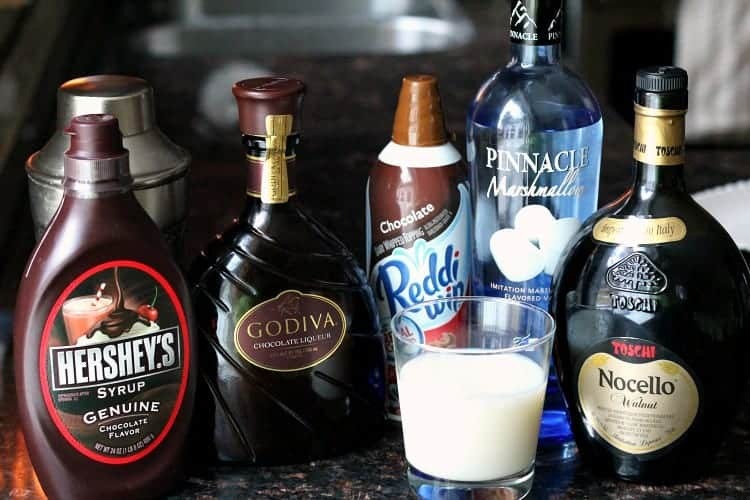 So to make this easy Mississippi Mud drink, I used milk (or you could use any kind of cream or even half & half), Godiva Chocolate Liqueur, Pinnacle Marshmallow Vodka, Nocello (Walnut liqueur), and Hershey’s chocolate syrup. I’m not sure if Pinnacle is still making their marshmallow vodka anymore, but you should be able to find other brands. If you can’t find any, you could try a whipped cream flavor vodka instead. 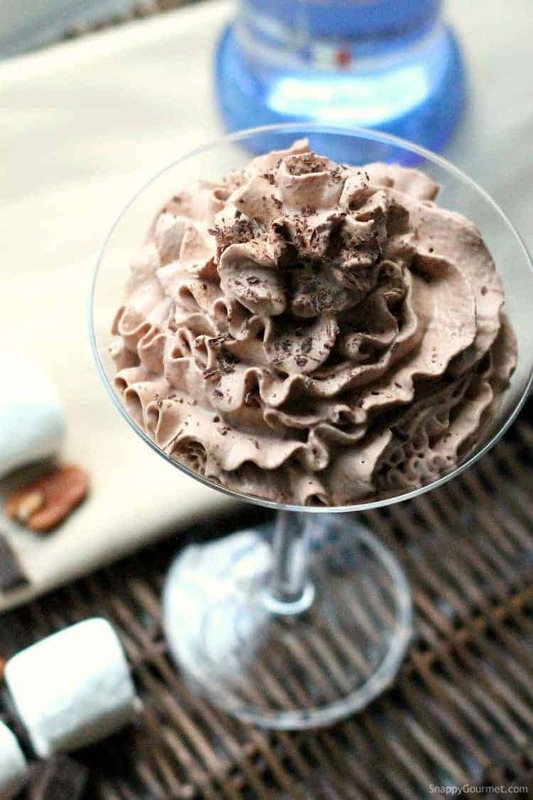 This Mississippi Mudtini is a unique chocolate martini. If you’re looking for drink recipes with marshmallow vodka, this is definitely one to try! 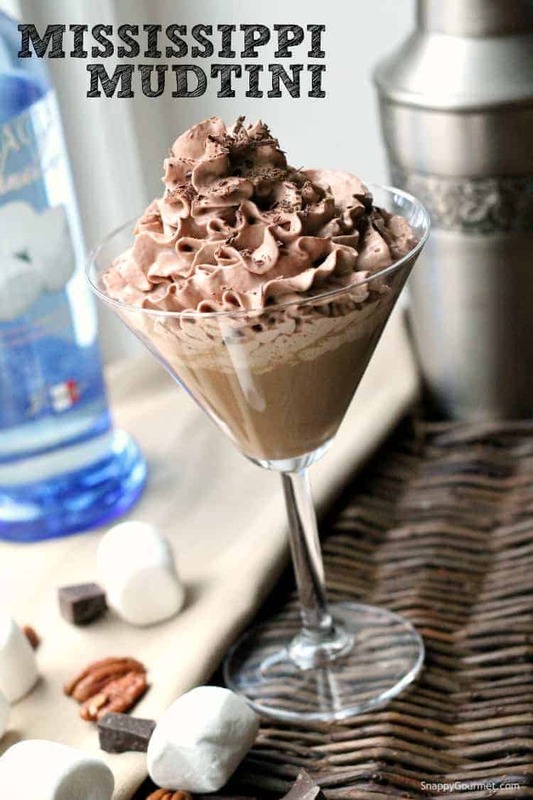 Once you make your Mississippi Mudtini, pour in your favorite martini glasses and top the chocolate drinks with some chocolate whipped cream and chocolate shavings or chocolate sprinkles! I took a chocolate candy bar and used a zester/grater to get some quick chocolate shavings. The shaker you see in the pictures is one I bought at my local TJ Maxx. I haven’t seen it since but have been looking for another. Although if you’re looking for one, Amazon has a lot of fun cocktail shakers too! 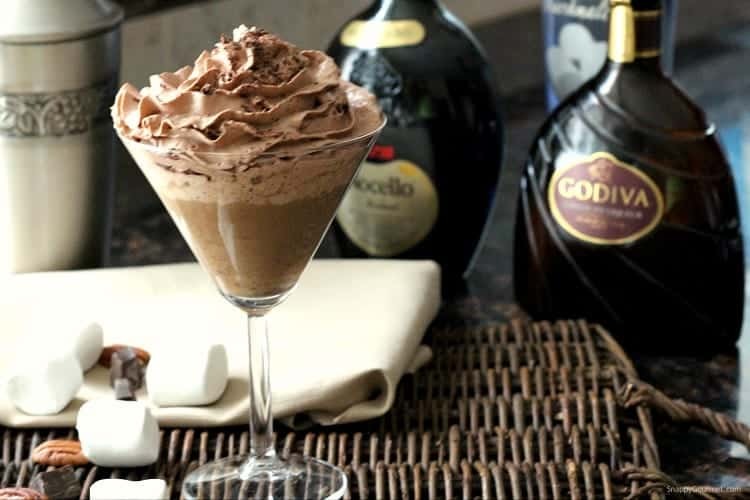 These Mississippi Mudtini drinks would be a great addition to a Chocolate Martini Bar, don’t you think? For a Chocolate Martini Bar, put out a bunch of ingredients and glasses, and let people make their own chocolate martinis. How fun would that be?! 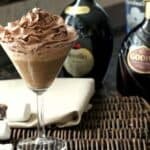 Hope you enjoy this easy chocolate martini recipe! 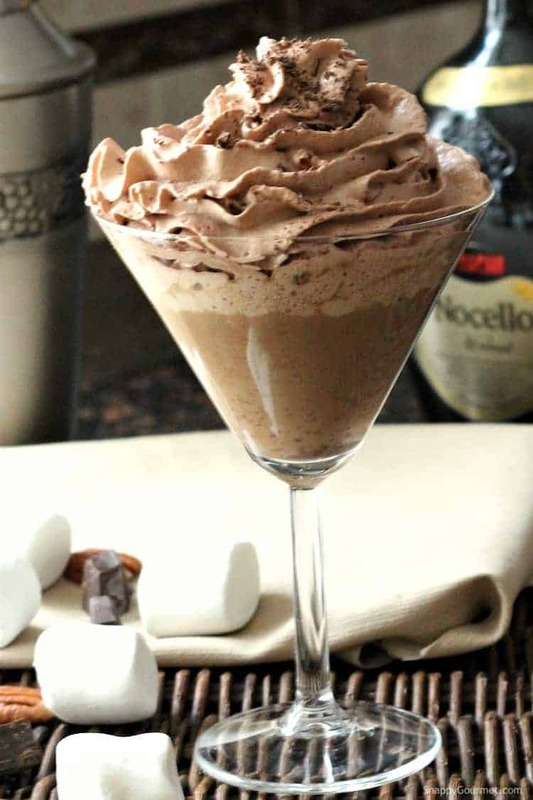 Mississippi Mud in cocktail form with tastes of marshmallows, chocolate, and nuts! Mix marshmallow vodka, chocolate liqueur, milk/cream, nut liqueur, and chocolate syrup in a shaker with ice. Shake for about 30 seconds. Strain drink into glass. Top drink with whipped cream and chocolate shavings/curls. SNAPPY SUBSTITUTIONS: You can use any kind of nut liqueur. This Mississippi Mudtini would go great with some Christmas cookies like these Easy Cake Mix Crinkle Cookies (Crazy for Crust), Chocolate Almond Biscotti (Plated Cravings), or my Cannoli Cookies! That looks so much fun to make and eat! I am D.Y.I.N.G. for this right now. It’s 9:37 a.m. and I want to dive in! This is beyond fantastic Lisa. It could not be more inviting. 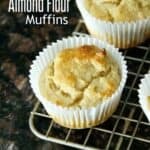 Kelli from Happy Hour Cupcakes pointed me to this recipe and I had to try it out. I made slight modifications, using Frangelica for the nut liquor and cutting the vodka in half (4oz made the first drink overpowering). But the end result was chocolate decadence to ring in the New year with.. 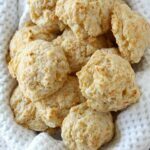 Fantastic recipe and a definite repeat in the near future. 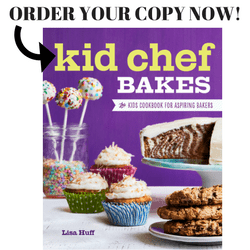 Glad you enjoyed the recipe Kelly! Thanks for visiting Snappy Gourmet! I cannot believe what you can come up with! Girl, you got me at ‘CHOCOLATE’!! Now if I can just find Marshmallow Vodka! p.s. 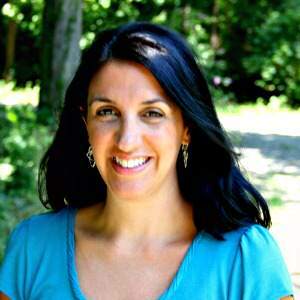 I’m looking for the 12-Step Program for Pinterest!!! Know of any?? What a great way to welcome 2012! thanks for sharing! This looks completely amazing. 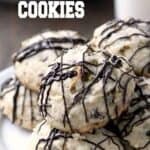 Love decadent drink recipes like these. They make chocolate whipped cream??? Gotta find it!! Happy New Year! This looks like a perfect drink to ring in the new year! And I want to try this marshmallow vodka- sounds delish! This would definitely be my kind of thing! Yum! You make the best drinks, Lisa. I would love to raid your liquor cabinet…haha. Happy New year! YUMMMM! This looks delicious. I’ll be trying it soon thanks for the inspiration!! Thanks Naomi! Hope you enjoy! Wow! Now this is a drink to try. I’ll be pinning this one to easily go to it! I’ve never heard of Pinnacle Marshmallow Vodka before!